Our Team is based in the region, with international and local experience from developing, financing, building and operating renewable projects, to design, manufacturing and maintenance of wind turbines. 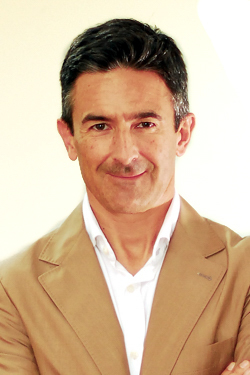 Olivier is the CEO and co-founder of The Blue Circle. Prior to its establishment, he was Founder, Chairman and CEO of Societe Francaise d’Eoliennes (SFE) between 2001 and 2007. Under his management, the wind IPP became the largest in France, with 125MW of wind projects and 20MW of hydro in operation as well as a pipeline of 1,000MW in development before being sold to the Italian Utility Sorgenia in 2007. Olivier was also President of Nature Energies Photovoltaic from 2009 to 2011, active in solar rooftops in France. Olivier holds a Master in Law from University Pantheon-Assas Paris and an MBA in Finance from University of Paris-Dauphine. Olivier is a French national. Jeff is co-founder of The Blue Circle. Prior to establishing The Blue Circle, he was the founder of Green Asia Capital Advisors, a boutique investment advisory firm focussing on the renewable energy and environment sector in Southeast Asia, with a particular focus on solar PV projects in Thailand, Cambodia and Vietnam. Jeff was also Manager at KPMG Infrastructure Advisory in China, where he advised infrastructure funds and corporates on finance transactions for their projects, including a total of more than 500MW of wind projects in China, Thailand and the USA. Jeff holds a degree from Bordeaux Business School (France) and a Master in Finance and Accounting Management (DECF). Jeff is a French national. 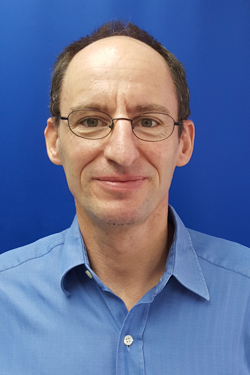 Prior to his position at The Blue Circle, Gilles was Senior Wind Engineer for Windlab from 2008 to 2012 and also managed the technical support team for Windlab project developments in Australia, South Africa and North America. As part of his position, he was responsible for wind data analysis, turbine layout and energy yield calculations as well as in charge of relationship with partners and suppliers. Before his experience at Windlab, he was Export Sales Manager for Siemens A&D (MD) managing the African sales department and Project Manager for GDF-Mexico. Varabott has more than 20 years work experience in the banking & finance industry across Europe and AsiaPacific, with an extensive international exposure to large scale Investment Management, Hedge Funds, Private Equity, Bancassurance and Corporate Advisory missions. Before joining the Association of Banks in Cambodia, as IBF General Manager, he worked in major European financial institutions such as Credit Suisse, Aberdeen Asset Management, AXA and Messieurs Hottinguer & Cie Banquiers. He holds an MBA from the University of Chicago Booth School of Business and is a certified EFFAS Financial Analyst. Buranawong has over 28 years of experience in the energy sector, having served in various management roles for ExxonMobil Corporation. He joined Esso (Thailand) Public Company Limited in 1985 to become Finance Manager in 1989. In 1995, he led a project team to transform Esso (Thailand) PLC to become a public company listed on the Bangkok Stock Exchange. After serving in the USA and Singapore for the ExxonMobil Group, Buranawong returned to Thailand in 2002 to become Esso (Thailand) PLC Controller. He retired in 2013 after holding a management position in ExxonMobil Global Services Company in Houston and being Director of ExxonMobil Limited. Buranawong graduated from Chulalongkorn University and holds a Doctorate in Industrial Engineering from Texas A&M University. Philippe was the Chief Executive Officer of ING Group Retail and Private Banking for Asia until 2009 and has been board member and Chairman of the Executive Committee of the TMB Bank since 2008. Having subsequently worked for JP Morgan Securities as Managing Director in Tokyo, London and Hong Kong, and for the Bruxelles Lambert Bank in Brussels, Philippe joined the ING Group in 2000 and served as Chief Executive Officer of ING Baring in London before heading the ING Private Banking Unit in Amsterdam and ING Retail and Private Banking Asia in Singapore from July 2005 to November 2009. He is also a member of the Board of different asset managers based in Singapore in addition to his position at the TMB Bank in Bangkok. Philippe has a Master of Business Administration from Columbia University and an Engineering degree from Ecole Nationale de l’Aéronautique et de l’Espace in Toulouse. Patrice joined Ayala Corporation in Manila in May 2010 as an advisor to the Strategy and Business Development team. He is presently Chief Operating Advisor to AC Energy (Ayala Corp group) as well as a member of the Board of Directors/Management & Advisory Committee of different power producer subsidiaries of AC Energy in the Philippines. Prior to joining Ayala, Patrice was a management consultant with McKinsey & Company in London as well as with Marakon Associates (part of Charles River Associates). Patrice holds Bachelor and Master degrees in Manufacturing Engineering from Cambridge University as well as an MBA from Harvard Business School, where he graduated with high distinction. Patrice is a Luxembourg national. EREN RE is a 100% subsidiary of EREN, founded in 2012 by Pâris Mouratoglou and David Corchia, who both show a significant successful track record in the renewable energy industry. Capitalized with EUR 600 million, EREN Groupe is the first company dedicated to natural resources efficiency, investing in and promoting innovative technologies in the sectors of water, infrastructure and energy. The Blue Circle Thailand is partnering with EREN RE to bring a portfolio of wind power projects to completion. EREN RE will share, along with The Blue Circle, the project development costs and is positioned to invest up to USD 60 million into wind projects themselves. Vestas, the world's leading wind turbine manufacturer, and The Blue Circle signed a collaboration agreement to develop a project pipeline across Southeast Asia, with an initial focus on Thailand. Established in 2003, TSV is Vietnamese corporation involved in several business lines such as renewable energy, real estate, construction and trading. TSV is the partner of The Blue Circle on two of the wind projects developed by the company in Ninh Thuan Province of Vietnam, the Dam Nai wind project and Phuoc Minh wind project. The United States Agency for International Development (USAID), under its regional Private Financing Advisory Network-Asia programme (PFAN-Asia), supported the installation of The Blue Circle's first 100 metres met mast in Vietnam. The Sustainable Energy Association of Singapore (SEAS) is a non-government and non-profit business association that represents the interests and provides a common platform for companies in Sustainable Energy sector. SEAS was established in the year 2006. The Blue Circle joined the membership in the year 2013 and with our commitment to implement sustainability in business, we seek continuous support from the association. United Nation Global Compact provides a governance framework for the sustainable development of the business. UNGC shares top 10 principles-based approach of doing a business. At The Blue Circle, we are committed to strengthen corporate sustainability and are ready to take responsible business action to support sustainable development goals. We have taken our step towards sustainable future. TBC is registered as signatory with United Nations Global Compact since October 2018. Thai Wind Energy Association is a non-profit membership-based association. This association is formed to understand, deploy and promote the wind energy market in Thailand. TBC is an active member of the association, giving its contribution and sharing world-class experience of wind power polices and guidelines. It’s a privilege to share that Mr. Gilles Beau (Chief Development Officer- The Blue Circle) is also an acting Vice- President (Technical Relations) of Thai Wind Energy Association. Global Wind Energy Council is the international trade member-based association which represents entire wind energy sector. GWEC works closely with international Policy makers to help create better policies and guideline for wind power. The Blue Circle is privileged to be a member and part of this organization. The Blue Circle has embedded ESG & Sustainability in every phase of the life cycle of the project. The concept of continuous improvements in environment, social and governances forms the baseline for our organization. The Blue Circle supports and follows IFC performance standards and Equator principle and does the detailed environmental and social studies based on the international recognized practices.